8K:VR Ride featuring "Tokyo Victory"
Using 8K+ Dome-Shaped Wide Screen + Motion Ride + 5.1 surround sound technology, 8K:VR Ride is the world’s first 8K motion ride, and just does not need a head mounted display to create a VR experience. 8K:VR Ride will appear at DIGITAL CONTENT EXPO 2017 from the 27th to the 29th of October, 2017. 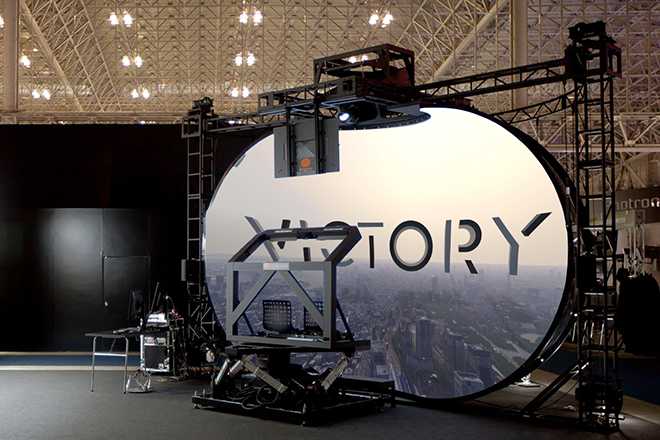 8K:VR Ride featuring “Tokyo Victory”, will be showcased to the public for the first time. Southern All Stars 55th single, “Tokyo Victory”, was released on September 9, 2014 and was written after Tokyo won the bid for the 2020 Olympics / Paralympics. Southern All Stars made their debut on June 25, 1978 with the single “Katte Ni Sinbad”. With vocalist Keisuke Kuwata’s iconic voice coupled with the band’s unique lyrics, they instantly made their mark on the Japanese music scene. They became one of Japan’s top bands with the release of their 1979 single “Itoshi No Ellie”, which was a huge hit and now considered a timeless classic. They continued to release hit song after hit song, and have amassed 5 singles and 6 albums that went on to become million-sellers. In March of 2015, they released their 15th album “Budou”, their first full album in 10 years. Of course, “Tokyo Victory”, the first single from the album, took number 1 on the charts and became a huge hit. The tour that followed, which included 23 performances across 11 venues, rocked Japan by bringing in a total of over 500,000 attendees. For nearly 40 years since their debut, Southern All Stars has continued to with while maintaining their position as the leaders of the Japanese music scene. They have become so influential that you cannot talk about Japanese music without mentioning the name Southern All Stars. As an evolution of the 8K:VR concept, we have come up with the idea for an 8K:VR amusement ride. 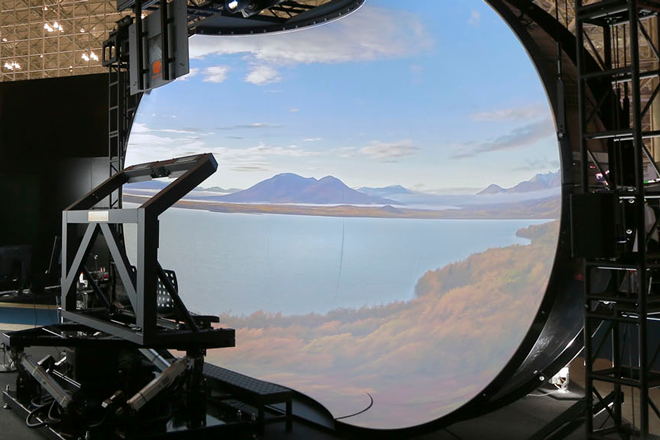 Just like the 8K:VR Theater, the ride uses 8K visuals, a dome-shaped wide screen, a motion-based ride, and 5.1ch surround sound to provide audiences with a VR experience free from head mounted displays. Sphere 5.2, which was developed by WONDER VISION TECHNO LABORATORY, is a dome-shaped screen that is 5.2 meters (17 ft) wide by 3.4 meters (11.1 ft) tall and 2.6 meters (8.5 ft) deep, and features visuals projected in either 4K or 8K. By using an 8K-capable projector together with 6-axis motion, we successfully created the world’s first 8K motion ride. Set to Southern All Stars’ famous track “Tokyo Victory”, ride-goers are treated to an exciting motion ride that uses 8K visuals and CG and takes them on a time-traveling adventure through Tokyo all the way to 2020.